Hammered sterling silver cylindrical stations with chain engraving. 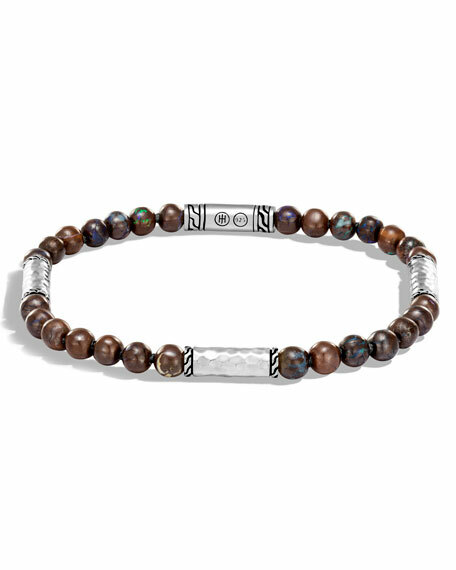 Brace Humanity men's bracelet. Stingray shagreen cord. Golden-plated hook closure. 8"L x 0.3"W. Made in USA of imported material.